Initial setup was the thing I liked the most. The documentation on our first steps was pretty straightforward. Well, a lot of small problems were caused by slightly different test environment. After we did a lot of payments through test and we tried prod some things like 3DS didn't work as they should've. Also documentation wasn't quite clear and didn't contain some of the items we needed to make it work with on-site checkouts. In my opinion price/value ratio is pretty good. Basic setup is also quite simple, but if you are planning to make some more complicated stuff prepare to exchange a lot of emails saying that you've done something wrong and after not making any change it miraculously starts working. It's standard line of defense in their tech dept, but really isn't as bad as it sounds. Cashflow that needed to be secured enough against scams that happened quite often. About Worldpay I dislike two things, first it doesn't have so much documentation and demos to try it before. Also their webpage opens pop ups when you want to click on some hyperlink and it's very annoying. Totally recomended, you found a solid product for a very good price. "Great customer service, robust API"
I liked the ease of use in working with the API. It was easier than working with the PayPal Pro API. When I used the product, the admin interface was a little clunky, but it looks like they've redone it recently. We needed to be PCI compliant and process orders on our side by sending them to a PCI Compliant 3rd party service. Worldpay did that for us better than Paypal Pro. "Nothing groundbreaking about WorldPay - more or less what you'd expect from a Bank"
WorldPay is available in New Zealand and integrates with ChargeBee (for subscription billing). This is pretty much the only reason I went with WorldPay. If you're operating in another country though, you're probably better off going with someone like BrainTree or Stripe, since they'll be heaps cheaper and easier to setup. WorldPay were thorough and professional and their service is reliable... but then you could probably say the same for pretty much any of the payment providers. The application process took forever (from start to finish, around 4 months). Don't expect to be up and running very quickly with these guys. They'll need documentation supporting the fact that your grandmother had a cat in 1972 and various other details that you might not see the relevance of (OK, maybe not the cat... but you get the idea). I also didn't much appreciate the fact that I had to pay, just to make an application to become a WorldPay merchant (something in the order of NZ$480)... but that appears to be standard down under. SwipeHQ also charged me NZ$100 to make an application with them... after which they lost the copy of my passport no fewer than 3 times (the 4th time they asked me for it I gave up on them)... so I guess to WorldPay's credit, at least they came through in the end. "A great tool used by many clients!" Always look at the volume related cost structure for any payment gateway provider, along with fixed costs and transactional costs/percentages. There are plenty of choices out there and you need to pick the correct solution to grow with you. Full integration and communication from eCommerce through to NetSuite ERP. The fact that I can accept payment from various cards globally. Make it easier to create accounts and begin using from the word go. A multi-nation, multi-language store catering for one product in multiple translation with local prices in each nation. "Fair Payment Gateway to use"
WorldPay is probably one of the best payment gateway that people can trust in term of security. Built ecommerce website with Worldpay payment gateway. "best solution to electronic payments"
The simplicity of the software process when paying. Worldpay is one of the simplest and ease use payment softwares have ever used. Online Payment solutions in e-commerce kenya. Setup and documentations are so much easy to understand . the variety of payments methods . Good documentation, clear examples and demos. Used for many years without requiring any support. API not as great as Stripe or Braintree. Feels like it needs an bit of an update. Sign up and get testing to see if you like it. Payment solutions for out clients. Works with many currencies, pretty seamless, which clients like. Give it a go, you've got nothing to lose! "Great product offering, especially for larger businesses"
The number of different products offered for large businesses. No focus on special products/prices for startups. Figure out what kind of product you need first. The names can be misleading. Getting payment processing working for my website. 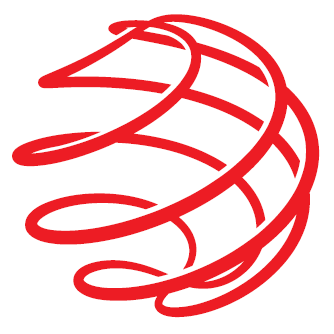 * We monitor all Worldpay reviews to prevent fraudulent reviews and keep review quality high. We do not post reviews by company employees or direct competitors. Validated reviews require the user to submit a screenshot of the product containing their user ID, in order to verify a user is an actual user of the product. Hi there! Are you looking to implement a solution like Worldpay?